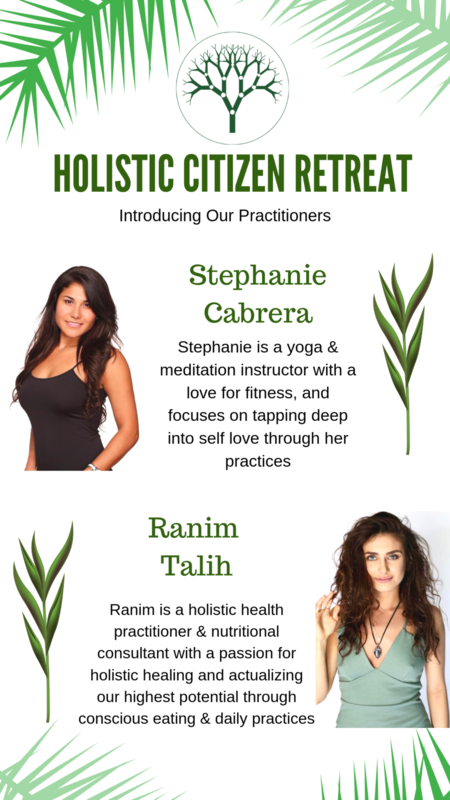 Holistic CitiZen Retreat- May 24-26, 2019. Stayner, Ontario, Canada. 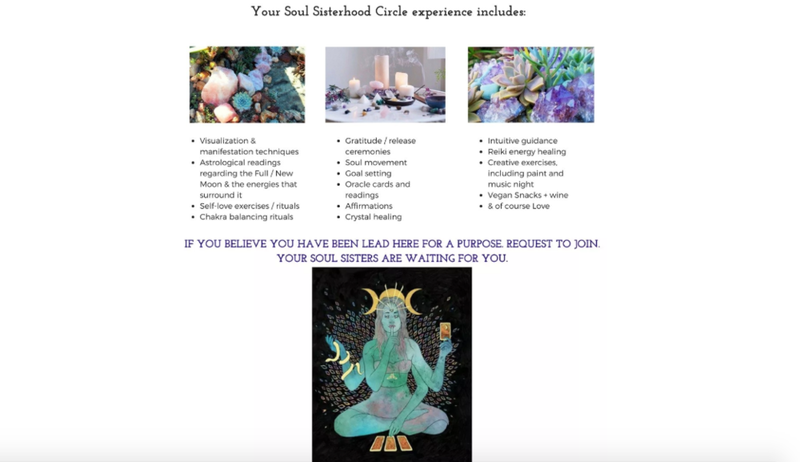 Are you looking for a place to get away, make long lasting soul connections, learn about holistic healthy ways of living you can apply to your daily life, and have the best time ever?! 3 day 2 night stay in a beautiful home set in cute and cozy chic quarters with lots of land to have fun and play! Workshops- personal development, vision setting, self empowerment, holistic remedies and more. Please sign up below to get on the list. Your spot will not be guaranteed until payment is made. Please contact me if you have any questions. If you would like to pay by debit card/ e transfer, you can email me at ranim.talih@hotmail.com which will waive the fee. The retreat provided me with the right tools for self respect and self love, it taught me to let go and believe in myself and my own power and I’ve learned that love is truly unconditional. This retreat provided me the opportunity to be in a beautiful vibrant place and space surrounded by compassionate womyn. I was able to re-calibrate my healing, connect to the creator, rest, unlock creative blockages and share and learn about others. I am so incredibly blessed for the retreat, the opportunity to be in nature, play with the animals and be vulnerable with womyn who are on the same frequency. The overall flow of the retreat was great. It did not feel overwhelming and we had the right amount of rest and activity. The space of the retreat was phenomenal. It would be nice if each retreat gave us an opportunity to connect/care for animals. I found it very therapeutic. You should definitely keep the moon party! It was overall a really great retreat! This retreat has restored my soul. 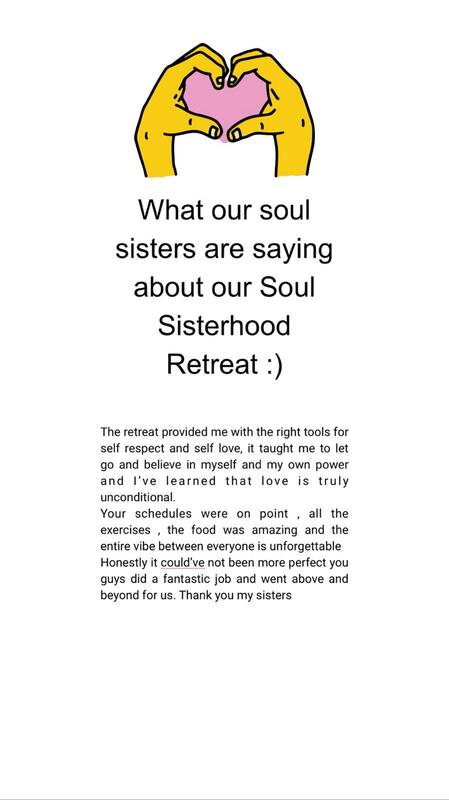 The deep connection I have shared with females that I met in this retreat was unbelievable. It was full of love. The organizers did a great job incorporating nature, self love mantras, meditation, soulful food and some fun activities. Also, this retreat has made me reexamine my relationship with myself and with others. The way we interact with others is a clear indication to how we feel about ourselves. It was well planned out, and really did not feel like this was the first retreat for the organizers. The practices that you have us do were something that we can use in our daily life. But most of all the surprises you had for us were amazing. I was always looking forward to the next thing you had in store for us. Answers, fulfillment, insight, soul sisters, connections for life. This retreat helped me realize that I built this huge wall around myself and I am afraid to let other people in. My walls were built to protect myself but realizing now it's only hurting me even more. I am working now to break down these walls and not be afraid to be vulnerable. I love that we all cooked together. The affirmations and moon ceremony were beautiful! I loved all the activities individually and I think that it all flowed so well and smoothly! Honestly, everything was perfect and A1. I wouldn't change a thing. I love you my sisters! 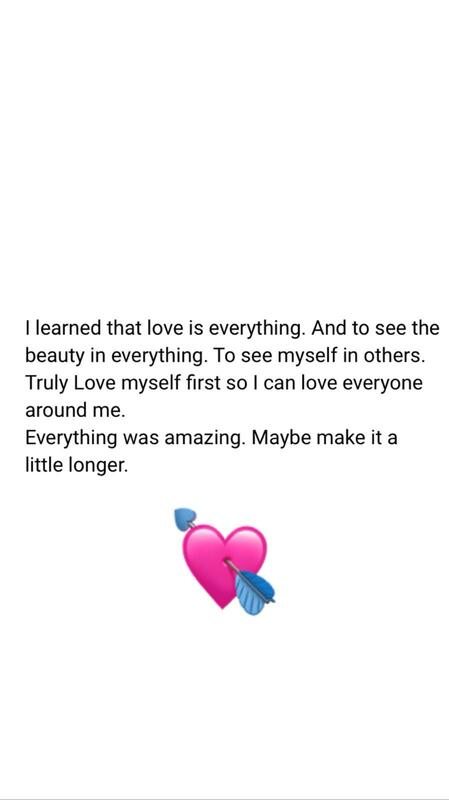 I learned that love is everything. And to see the beauty in everything. To see myself in others. Truly Love myself first so I can love everyone around me. Everything was amazing. Maybe make it a little longer. 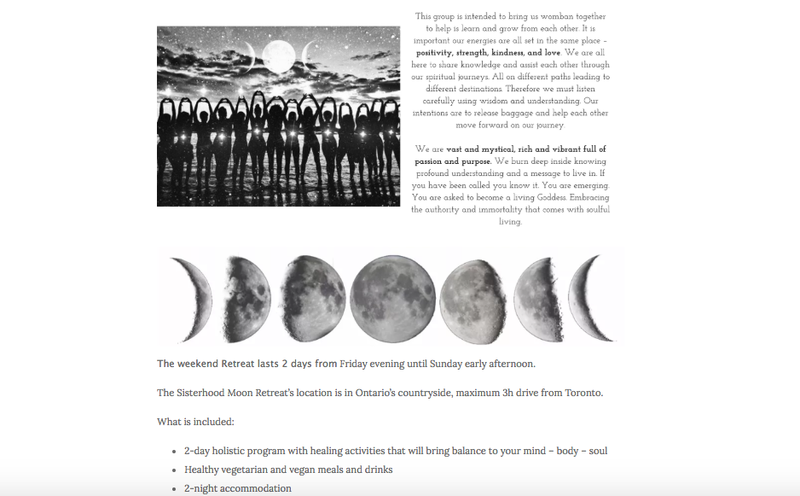 Scroll down for details on the retreat.